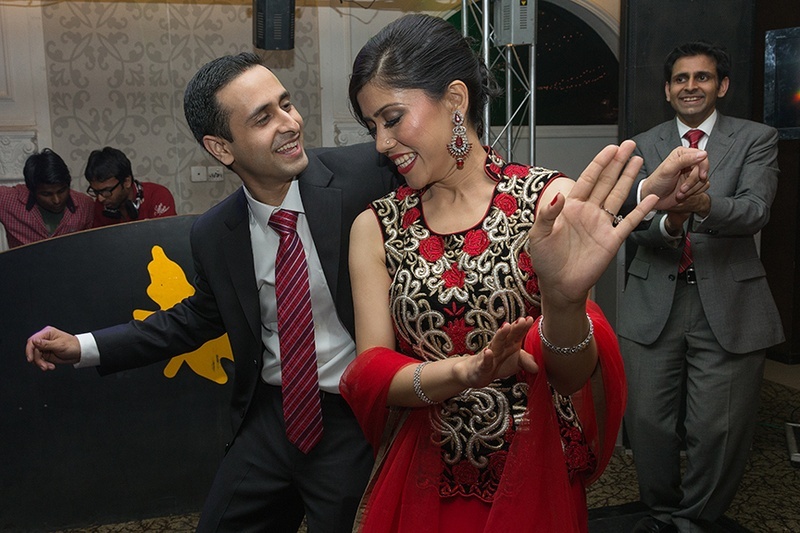 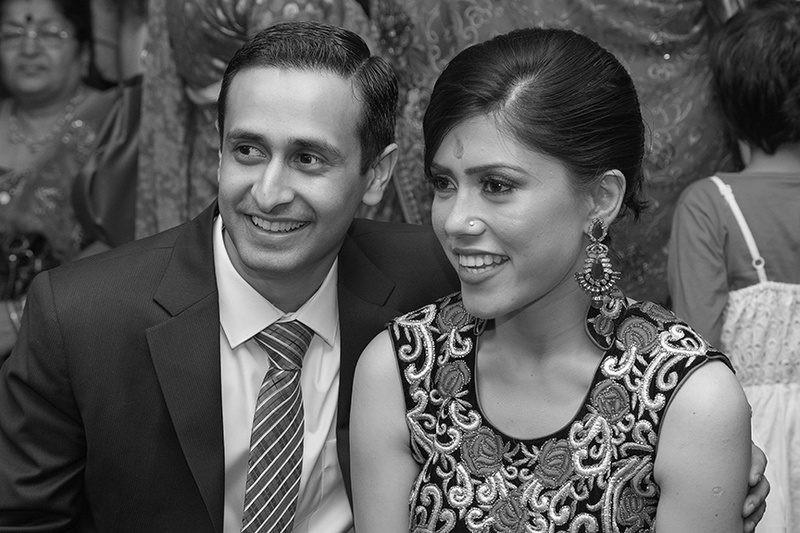 Shruti and Pranit surely love music and dancing, as this was clearly witnessed by all at their engagement ceremony that was planned inside a wonderful banquet hall. 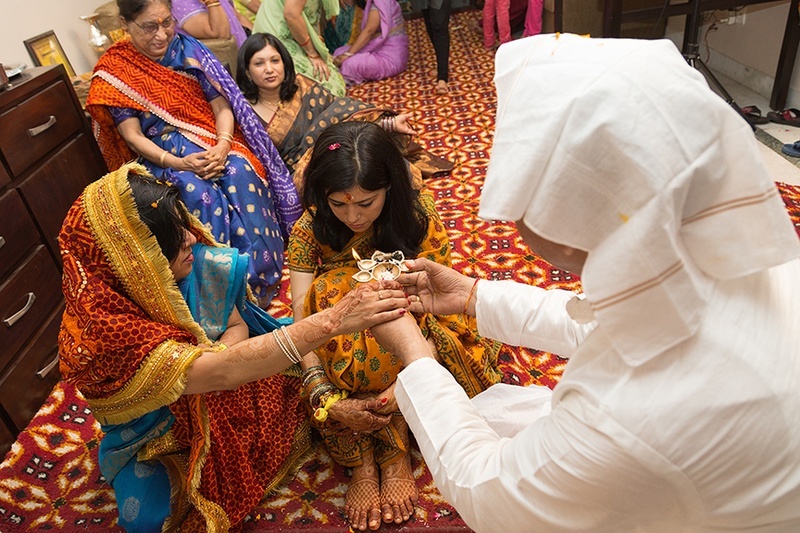 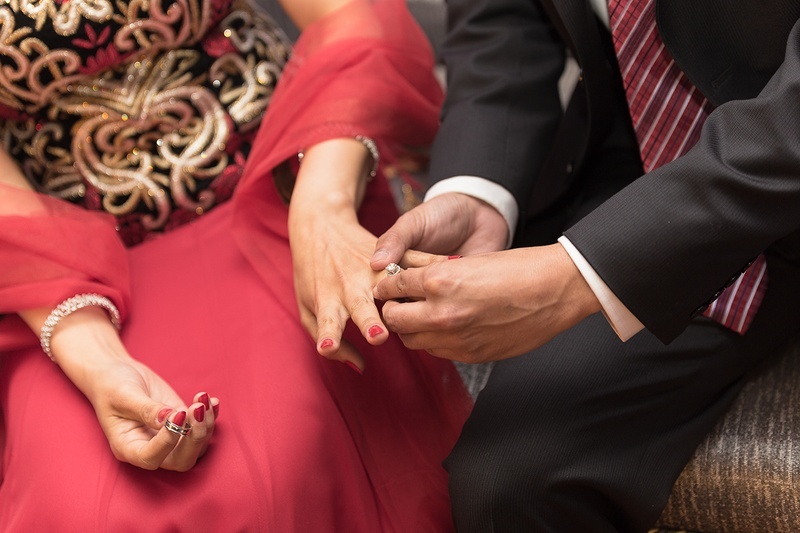 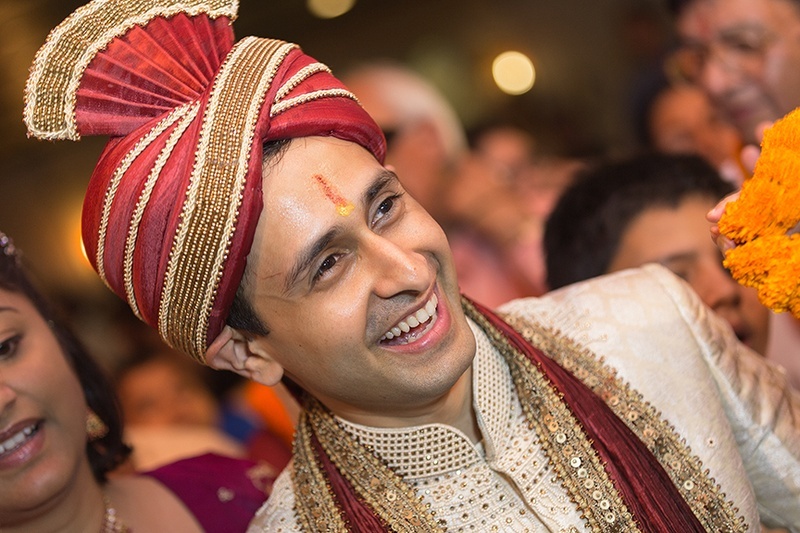 Their wedding celebrations began with the Mehendi and Haldi ceremony where the bride’s family applied haldi on her arms and feet wearing traditional mustard and maroon dupattas. 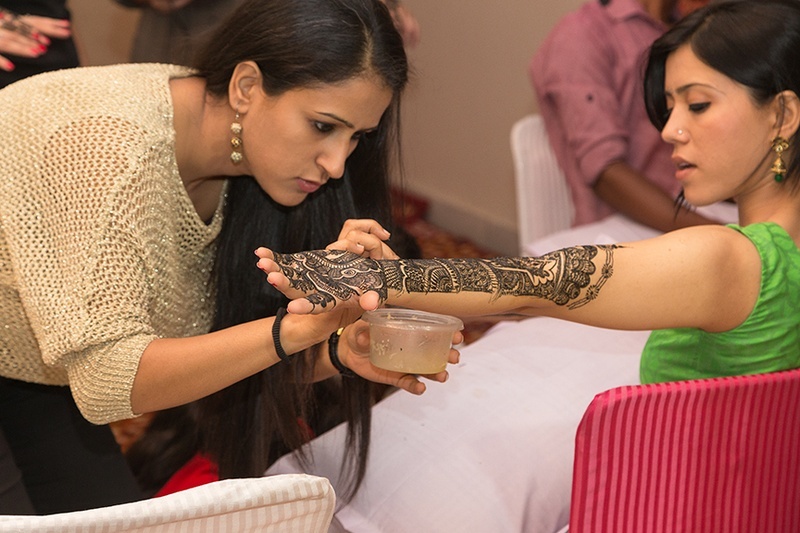 The brides mehendi designed hands came out to be dark and looked absolutely alluring. 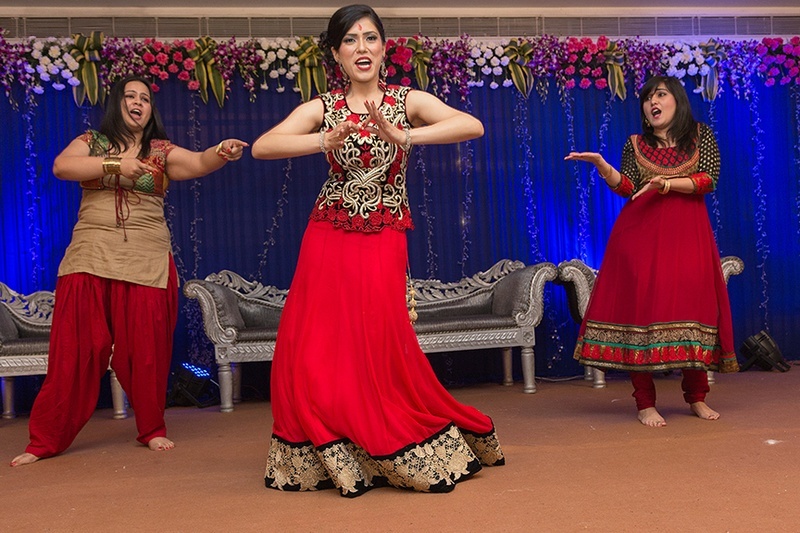 At their engagement ceremony, both the bride and groom went crazy with their dance performances wearing stunning outfits. 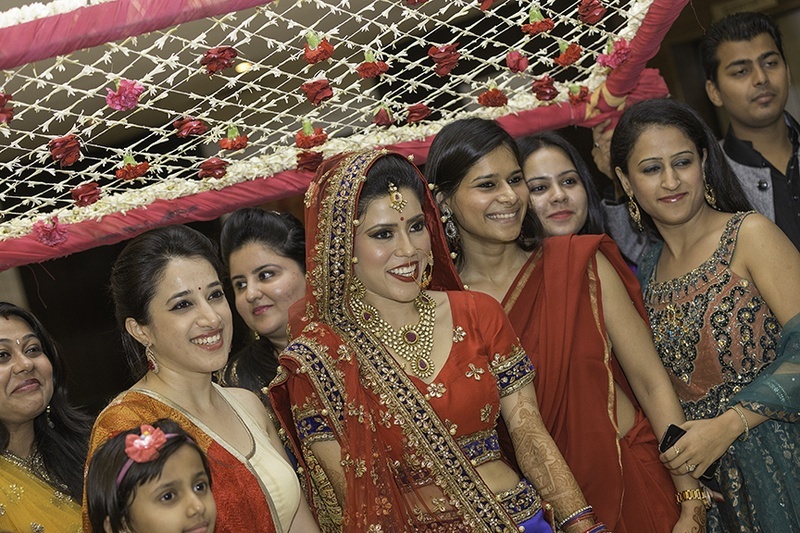 With a floral canopy over her head, Shruti arrived at the wedding venue wearing a gorgeous wedding lehenga with an unusual colour combination of red, gold and cobalt blue. 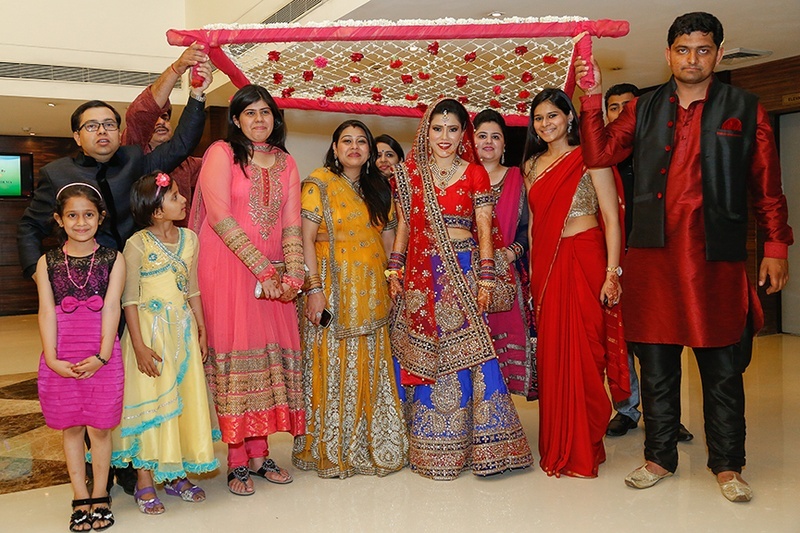 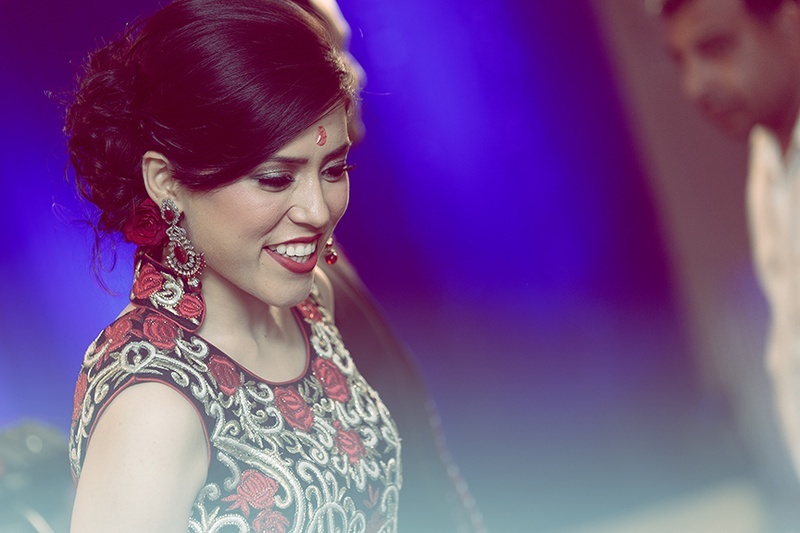 Her lehenga was beautifully embellished with multiple paisley patterns, gotta patti and crystal stones. 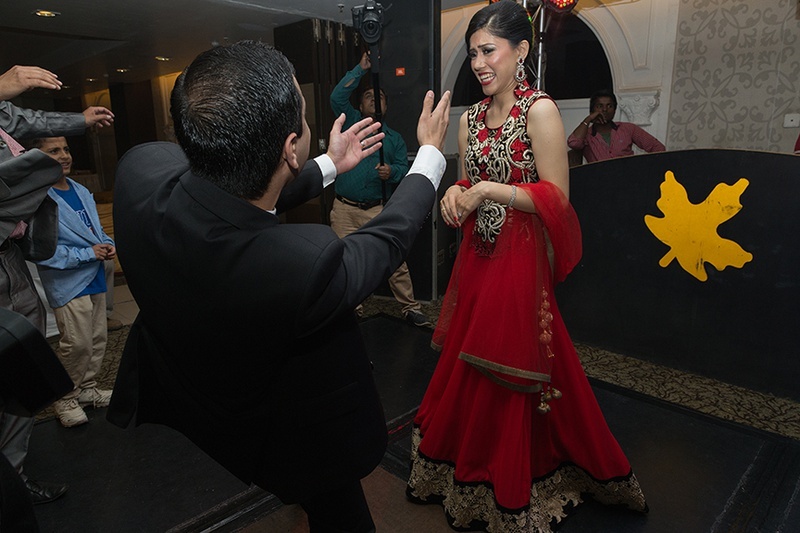 Pranit wore a classic cream textured sherwani styled with a maroon crushed dupatta, and complimented Shruti’s look perfectly. 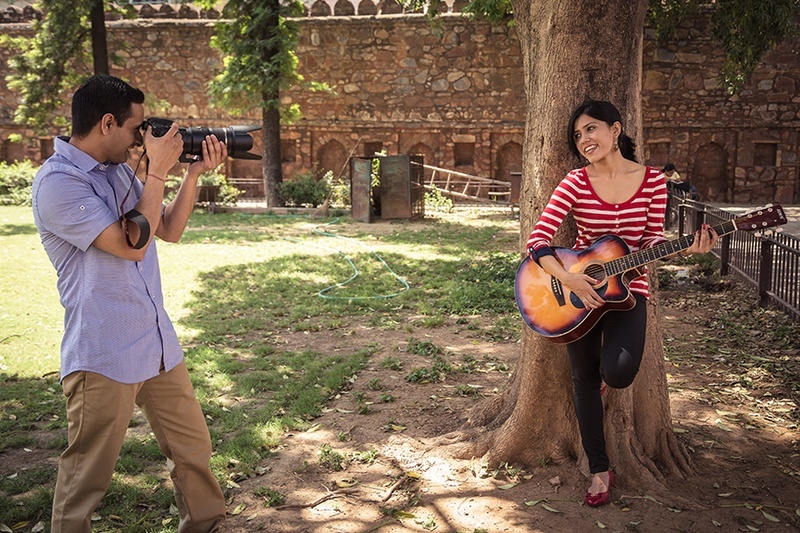 Their pre-wedding photoshoot had them playing a guitar out in a garden area, them sharing a romantic kiss and other beautiful pictures set against a serene lake. 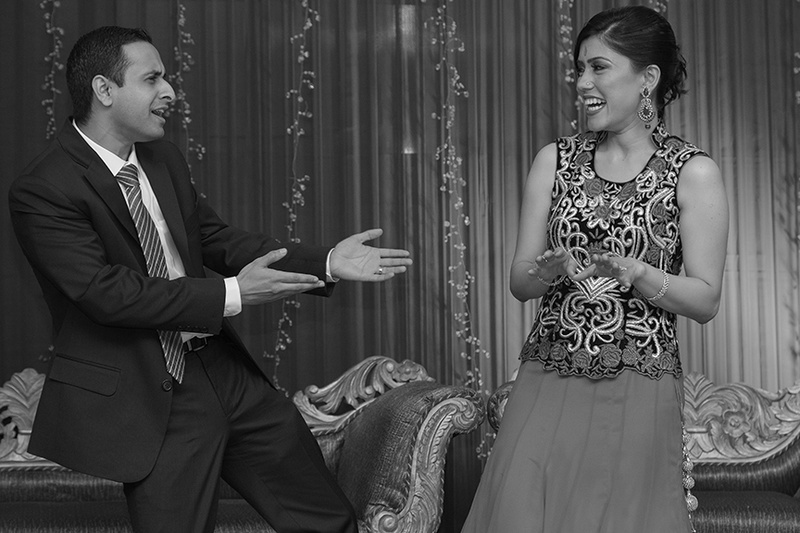 From their dazzling performances at the engagement ceremony to their adventurous photoshoot, every image was wonderfully captured by Candid Klicks.